Buying pre-ground coffee is easy and cheap, and for anyone satisfied with the cup of coffee they get from it, that’s great. But if you’ve found your way to this guide, then you probably belong in a different category of coffee drinker. True coffee lovers know that freshness is an important part of the perfect cup, and your coffee will be far fresher if you grind it yourself right before you brew a cup. You don’t just want a mediocre cup of coffee that will wake you up, you want a cup with complex flavors and aromas that delivers a satisfying experience in every sip. If that’s the kind of coffee drinker you are, then our buyer’s guide to coffee grinders can help you with one of the most important tools you need to create that perfect cup every time. You’ll find two main options in your quest for the best coffee grinder, each offering a different level of quality. Blade grinders, or manual grinders, are common because they’re cheap. Unfortunately, they’re cheap for a reason. Coffee lovers widely deride this type of grinder for being inconsistent – the beans you grind will come out partially coarse, partially powder and all types of particle sizes in between. If you use a blade grinder for too long, you risk burning the coffee, which will further affect the quality of the flavor. To be fair to blade grinders, they work great for spices. And if you normally stick with cheaper types of coffee, then you might not notice much of a difference with a blade grinder versus a higher-end type. And that low price tag is tempting. However, if you intend to spend money on high-quality coffee beans, then you’ll likely be better off investing in a grinder that’s fit for them. If you want a grinder that will help you get the best possible flavor out of your coffee, you’ll be better off going a step up from blade grinders to get a burr grinder. Burr grinders produce ground coffee that’s uniform – all the particles come out about the same size. Coffee connoisseurs find that this consistency makes a huge difference in the quality of the coffee’s flavor. Burr grinders do come in two different types: conical and flat plate. There are slight differences in how these work, but in general the quality of the results is similar between the two. Flat burr grinders cost more and are better at producing consistency in particle size. Conical grinders are more affordable and quieter. But at this point in your journey, the primary decision you need to make is whether a blade grinder or a burr grinder is best for you. For a small appliance that perform a fairly simple task, there are hundreds of coffee grinders available for you to buy. All offering a shade of similar features at a variety of price points, it can prove somewhat difficult to find the best grinder for your morning coffee. To help you figure out which one is right for you and narrow down your options, here are a few main factors you should consider. This is really the most important thing you should be thinking about in your search for a new coffee grinder. It’s the factor that relates most directly back to the flavor and aroma you’ll get from your coffee. Obviously, the quality of the coffee beans you buy will play a big role in that, but in order to fully appreciate high-quality beans, you’ll want to grind them right before you make your coffee and get the grounds as fine and consistent in size as possible. This is the key to a good cup of coffee. Most burr grinders will do a good job of this, but there’s some variety in how well they’ll do and how fine of a consistency they’ll be able to create. Achieving fineness is especially important for espresso lovers, so if that’s you, make a point to look for a coffee grinder known to produce consistent, fine coffee grounds. A good coffee grinder isn’t cheap. If cost is a particularly big concern for you, then a blade grinder may make the most sense. If you’re willing to spend some money to get a grinder that will do the best job, then you’ll be looking at burr grinders in the range of $100-$500. Keep in mind here that the more you’ll be spending on coffee beans, the more you’ll get out of a high-end grinder. A higher upfront cost may seem harder to swallow in the moment, but if you spend a lot on high-quality coffee and you aren’t getting the full flavor from it, you’ll be wasting money. As an additional consideration, as with all other purchases you make, coffee grinders that cost more will often be made from better materials that are durable and designed to last longer. With proper care, these high-quality grinders will typically last for much longer than cheaper models. This could save you the money of having to buy a new model again and again. Keep in Mind: Like buying any new appliance for your home, it’s important to think about your purchase as an investment, but also weigh it against how you plan on using it. Spending more upfront may provide a better cup of coffee and save you money in the long run, but not if you rarely use it. The grinders you look at will each be built to hold a certain amount of coffee each time you use it. You’ll get better flavor from your coffee if you grind the beans before each time you brew it. By this logic, you won’t necessarily need a high capacity for your grinder unless you expect to regularly being making coffee for several people. If it’ll just be you, you can settle for a small-capacity grinder. If it will be you and several roommates or co-workers, then look for something that can accommodate everyone. While high speed may sound like a selling point when buying a coffee grinder, it’s actually a sign of a cheaper product that won’t last as long. Coffee grinders with high-speed motors produce more heat, which risks burning the coffee and negatively influencing the flavor and aroma. If you want to avoid the heat, you have to start and stop each time you grind the coffee which leads to it actually taking longer to grind a cup’s worth of beans. On top of that, the start-and-stop process can more quickly wear out the machine, meaning that it won’t have as long of a life. High-speed grinders that have gear reduction can help solve some of those problems, but in general, you should prioritize machines that grind at a lower speed. Buying Tip: Grinders with low-speed motors are called direct drive grinders. If this is an important factor for you, seek out this phrase as you browse your options. After particle size, heat is other main factor that influences how your coffee will taste. If your grinder gets the beans hot while it’s grinding them, it will burn the grounds and potentially change the flavor for the worse. As just mentioned, the main thing that affects the heat of your grounds is the speed of your grinder and how the motor works. 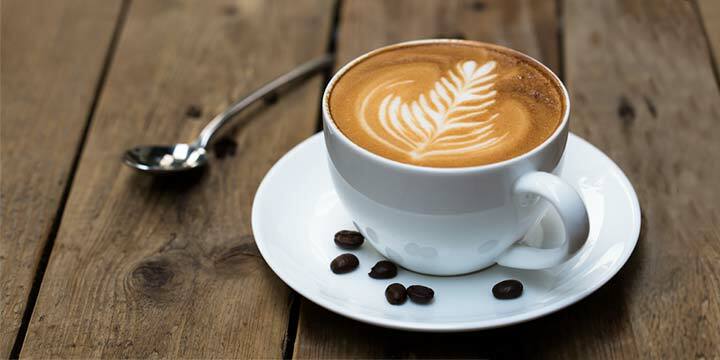 One of the big differentiators in some of the more expensive coffee grinders is the ability to control the speed in order to reduce the amount of heat the grinder produces. While this can add a lot to the initial cost, it can also play a big role in the quality of your coffee flavor. It may be worth the cost for you. A practical consideration you should make before buying any new appliance or item for your kitchen is its overall size. No matter how large or small your kitchen may be, most will have limited counter or cabinet space. 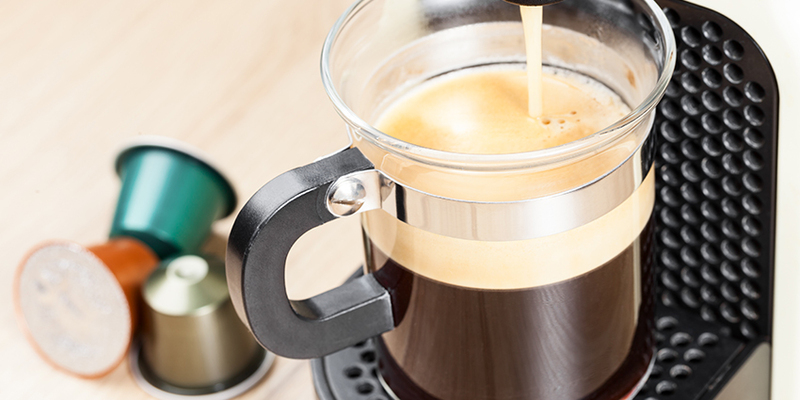 Since you’re looking to buy a grinder, it’s probably a safe assumption that you’re already giving valuable kitchen real estate over to a coffee maker and, possibly, an espresso maker as well. So the overall size of the coffee grinder is going to be a factor that should be considered. Before you start your search, make sure you know how much space you really have to work with. Coffee grinders aren’t especially large, but they will have to go somewhere. Whether it sits on the countertop or gets stored away when its not in use, make sure you buy a product that will fit in the place you have in mind. Some people may be willing to put some effort into the perfect cup of coffee. Others will want the process to be on the simpler side. Coffee grinders vary in how complicated they are to use and clean. If you know you’ll be frustrated by a machine that makes you take extra steps each day to use, or that always involves a lot of time and frustration to get clean, then take some time to read reviews about the product before making a purchase. You’ll be much more likely to appreciate and enjoy your grinder if you don’t feel annoyed every time you use it. If you drink an array of coffee types, then you’ll want a grinder that provides enough settings to get the perfect consistency for each one. For the most part, as grinders get more expensive, they offer more settings for you to choose from. You’ll commonly see grinders described by one of two terms that relate to the settings they offer — Stepped or Stepless. Stepped grinders provide a set number of settings that you can select before starting to grind your beans. Stepless grinders allow more options, since they don’t provide established settings and simply let you choose from a general range. For people who already know pretty well what they like, stepless grinders are an improvement over stepped ones since your options are basically unlimited. As such, stepless grinders generally cost more. If you’re sensitive to how noisy your kitchen products are, then you’ll definitely want to look for a coffee grinder that’s on the quieter side – especially as this is a product you’ll likely be wanting to use early in the morning. Conical burr grinders are generally quieter than flat burr grinders. And burr grinders tend to be better than blade grinders in this regard. If you’ll be buying a grinder online, your best bet for getting a feel for how loud a model is before buying is taking some time to look over reviews. Customers and professional reviewers usually make a point to mention how quiet or loud they find a product. Your dosing options have to do with how the grinder distributes the coffee once it’s ground. Models with a doser will drop the ground coffee into chambers that you can then release into your coffee filter or receptacle when you’re ready to brew it. Some consumers dislike having a doser though because they feel that letting the grounds sit in a chamber before use causes the coffee to lose its freshness. Doserless models are designed to correct that issue by dispensing the grounds more directly. 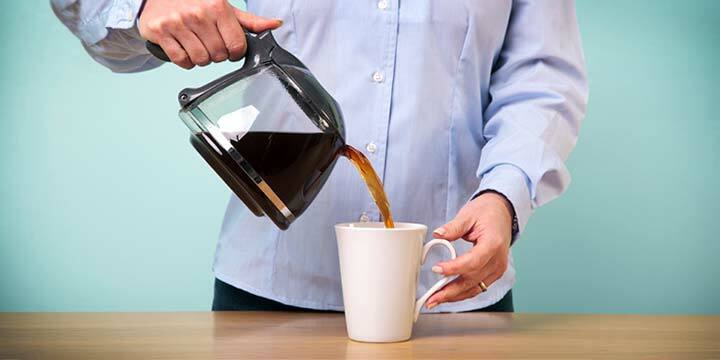 This can mean you get fresher coffee, but it can also mean more of a mess to clean up after each use. Burr grinders usually either come with stainless steel burrs or ceramic ones. Ceramic burrs typically last longer and are better for achieving the level of fineness you need for espresso, so burr grinders with these typically cost more. While ceramic has a longer life span in most cases, if something does get into the machine that causes the ceramic to chip or break, replacing the burrs will be harder. Stainless steel burrs are much more common and generally work well, but you may have to replace them after a few years of use. Finding new steel burrs for replacement is generally a pretty easy process though, much easier than if you ever have to replace ceramic burrs. If you’re just spending $10-$20 on a blade grinder, how long it lasts may not be all that big of a consideration. If you’re spending over $100 on a burr grinder though, you’ll want to know you can count on it to last. As you might expect, some higher-end models with especially high price tags cost what they do in part because they’re made to last many years. You can generally expect ceramic burrs to last longer than stainless steel ones and grinders with direct drive engines to last longer than high speed ones. One of your best resources for getting an idea of how long you can expect a particular model of coffee grinder to last is customer reviews. Customers will often be quick to complain of it if their coffee grinder doesn’t last as long as expected, and to praise it if it exceeds expectations. 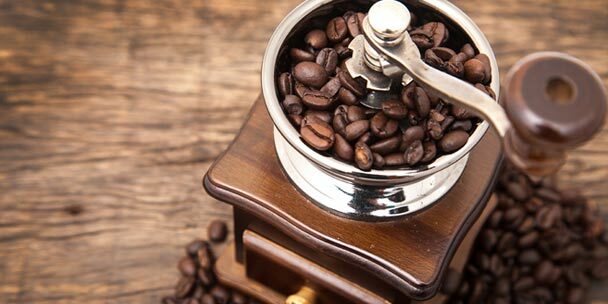 While most coffee lovers are likely to weigh functionality over appearance in their decision, if your coffee grinder will be living on your kitchen counter, ideally you’d want it to be something you don’t mind looking at. If aesthetics are important to you, take some time to browse your options. Some coffee grinders are definitely designed more with appearance in mind, available in a variety of colors and finishes. With hundreds of options available to choose from, you should have little problems finding a grinder that is visually pleasing and designed to match the decor in your kitchen. 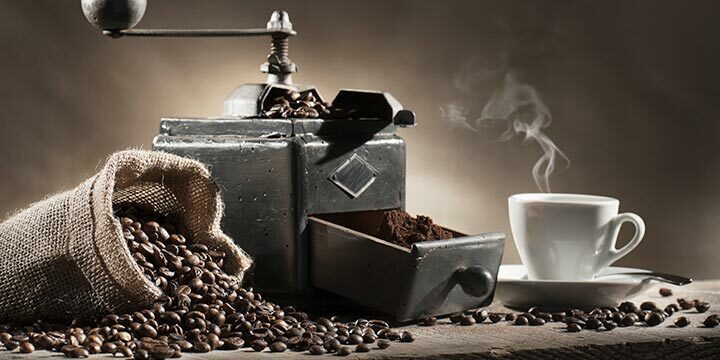 There are quite a brands that are manufacturing and selling coffee grinders. Far too many to cover here, unfortunately. To help you identify the brands with the best reputation, we looked at reviews of coffee grinders sold by each to see what actual customers had to say. Here’s a general summary of what we found. As always, it would be wise to read through the reviews to help you find the best coffee grinder for your lifestyle. Baratza sells a range of high-end coffee grinders that earn a lot of rave reviews, as well as some negative ones. In general, the brand’s reputation is stellar, with customers saying the grinders work great, are well worth the high cost, they last a long time, and they improve the taste of their coffee. Mixed in amongst the positives though are a troubling number of reviews from people who say their grinders broke soon after purchase or had problems such as being too messy or clogging. The happy customers are very happy, but there are a number of customers with more critical experiences. Breville’s coffee grinders are well reviewed by customers who say they’re good for the price, last a long time, and provide good customization options. Several also mention that their grinder works more quietly than others they’ve tried and many claim it makes for a perfect cup of coffee. A rare reviewer here and there complains about issues with their grinder jamming or needing to be cleaned frequently, but the overall consensus on Breville is positive. Specializing in a wide variety of appliances for commercial purposes, Bunn is one of the most popular brands when it comes to coffee. Designed for offices and restaurants, Bunn offers a pretty decent selection of coffee grinders, but unless you’re attempting to serve an army of people, then it’s unlikely to be the best grinder for the average homeowner. The reviews for Bunn are slim. However, don’t let this be an indication of poor performance. 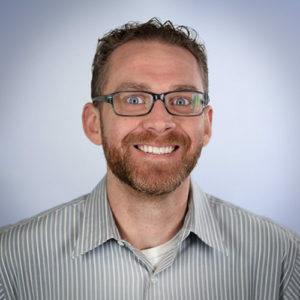 The reviews that do exist are positive, leading us to believe that they don’t earn many reviews due to their intended use within commercial environments. Capresso’s affordable coffee grinders earn mixed reviews. Many customers say their grinders work well, are relatively quiet, and are a good value for the price. A few complain that they don’t grind evenly or the grinder breaks soon after purchase. They’re hit or miss, but may be worth taking the chance on if you’re trying to pinch pennies. Perhaps the most popular brand listed here, Cuisinart offers a large variety of grinders and other coffee accessories. Affordable and easy to find at nearly every retailer, it’s no surprise that they are a best seller. For the most part, Cuisinart earns pretty good reviews for their coffee grinders. Aside from a few complaints here and there, the reviews are positive enough that Cuisinart (currently) sits in the top spot as the “Best Burr Grinder” on Amazon. While it may not be a well-known brand in all households, Gaggia sells coffee grinders that customers give plenty of praise. Reviews say Gaggia’s grinders are great for the price, reliable, easy to use, and last a long time. The general consensus is that they’re a good buy. KitchenAid offers a small selection of coffee grinders, including a couple of very affordable blade units, as well as a burr grinder that looks like a long-lost cousin of their Artisan stand mixer. Keeping to tradition for KitchenAid, their grinders come in a wide variety of colors and earn stellar reviews from customers. Not to be confused with the food grinding attachment for their stand mixer, these are standalone appliances that are designed to bring out the true flavor of your coffee beans. Another popular brand with a strong reputation for coffee, KRUPS comes in strong for coffee grinders. The reviews from customers follow the usual trend with a few complaints mixed in, but overall, the reviews are extremely positive. KRUPS even has a blade model that (currently) sits in the top spot as the “Best Coffee Grinder” on Amazon. This is certainly no easy feat, given that there are thousands of grinders available. Perhaps, one could make the case that despite the reviews, this isn’t the best coffee grinder for everyone. And, you would be correct, as there is no “best” that applies to everyone. Otherwise, what would be the point of a buyer’s guide such as the one you’re reading now? Rancilio sells high-end coffee grinders that get good reviews from customers. They say the grinders work well, last a long time, and make great cups of coffee. A few mentioned some occasional jamming, but most customers feel like their grinder was a good buy. The coffee grinder you choose will have a direct effect on the quality of the coffee you drink each morning. The right choice can help you achieve that perfect cup of coffee you desire. Take some time to understand your options and figure out what you really want. The result will be worth it.